If I was not in a rush, then I probably would have photographed the cruciferous vegetables resting in their quaint wooden basket. 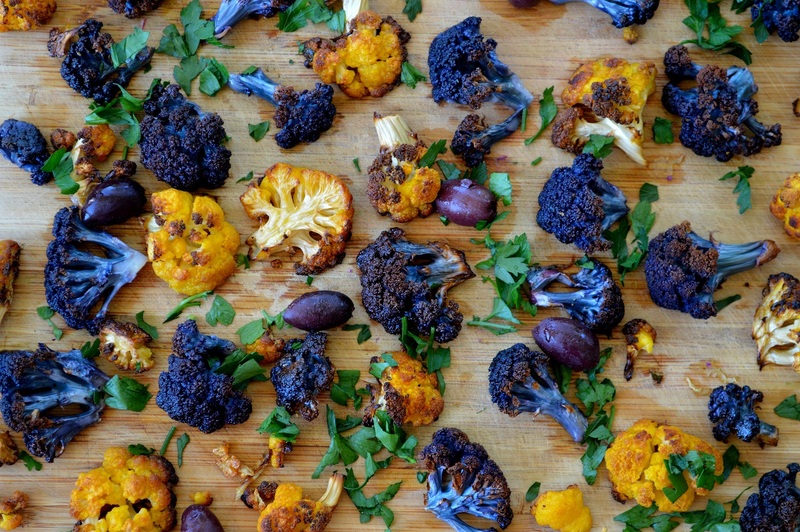 Do not be alarmed by the colors; cauliflower actually exists in white, orange, purple and even green – although I do not believe I have ever seen a green one. Apparently the purple cauliflower contains antioxidants known as anthocyanins, however, I did not know this until after I already purchased the veggies. Preheat oven to 400. Toss cauliflower with olive oil, then season with salt and pepper. 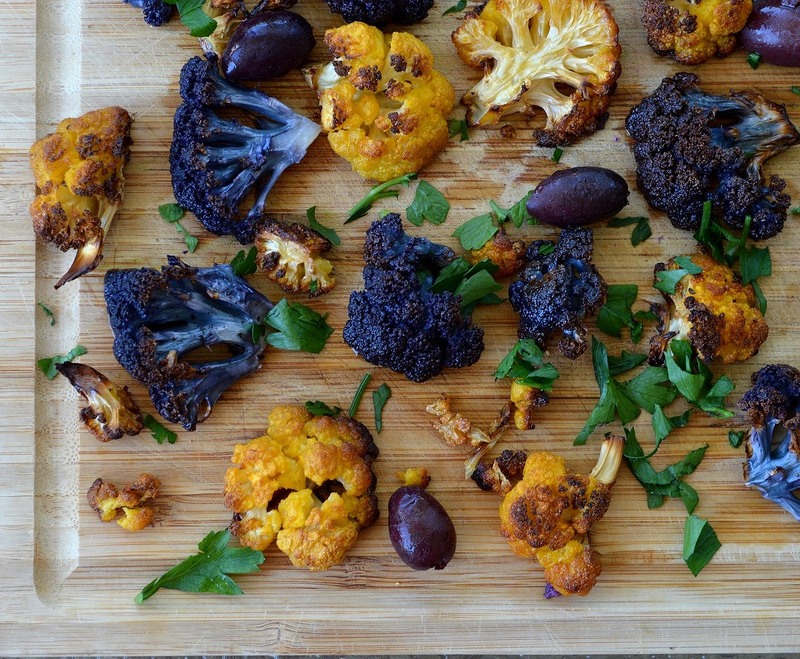 Place cauliflower on a baking tray (I usually line mine with aluminum foil – it seems less messy). 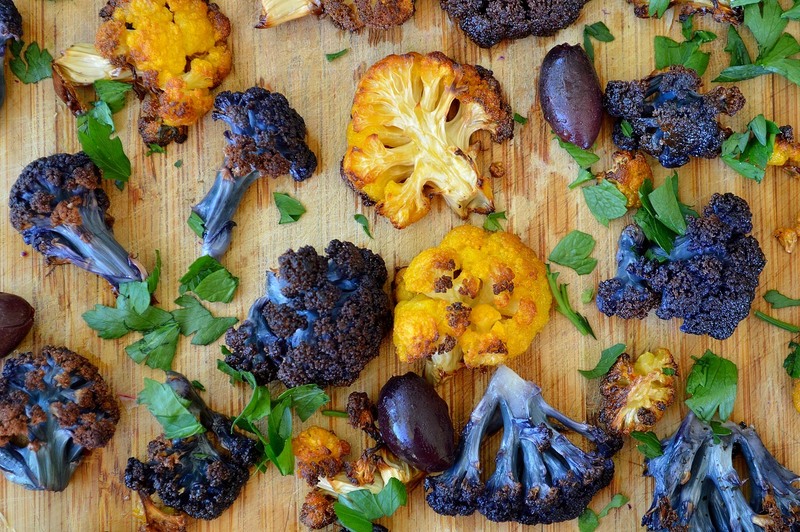 Roast cauliflower for 30-40 minutes or until cauliflower is slightly browned. 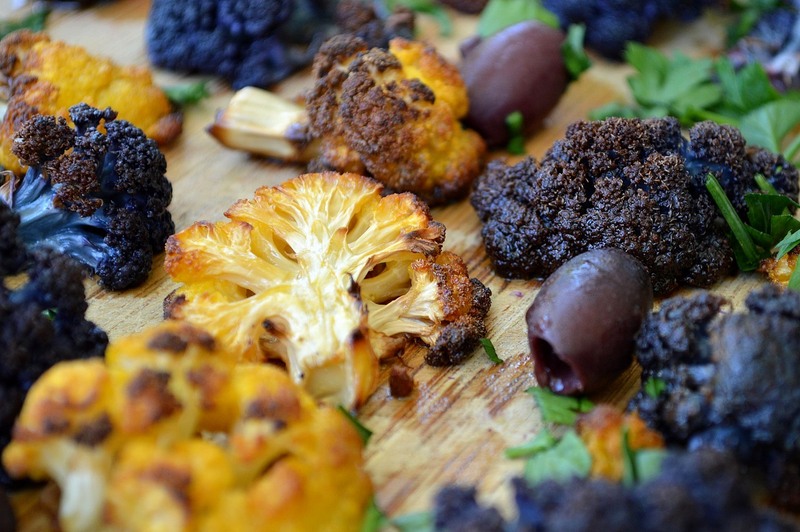 Place roasted cauliflower, kalamata olives and parsley in a bowl. Enjoy.